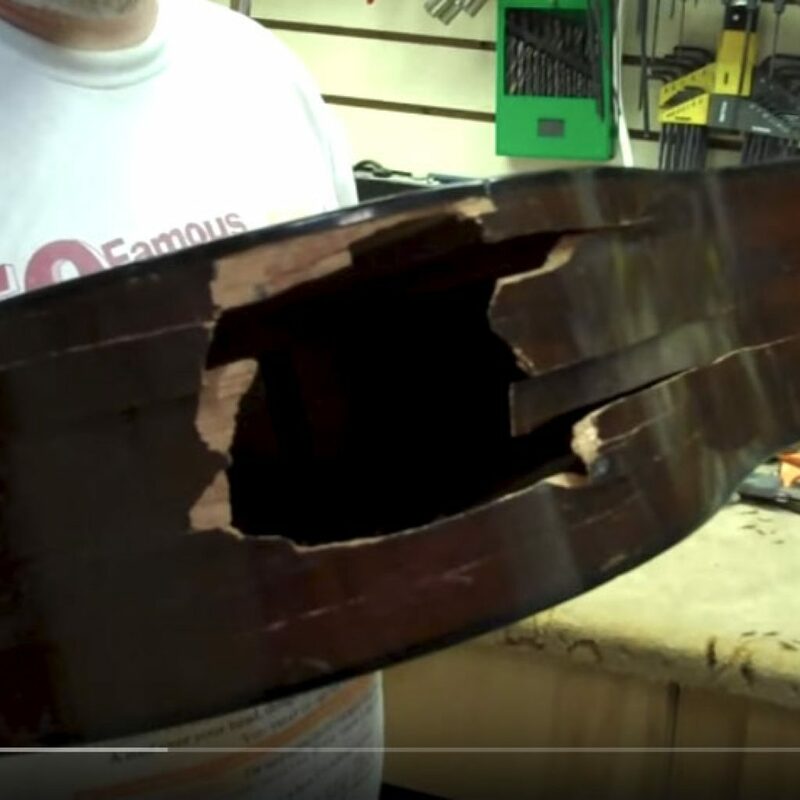 Perhaps Scott’s biggest repair yet… a Martin D-18 with a kicked-in side. The guitar belongs to a singer/songwriter named David who misses it dearly. Watch as Scott puts it back together, including matching the finish color and wear. 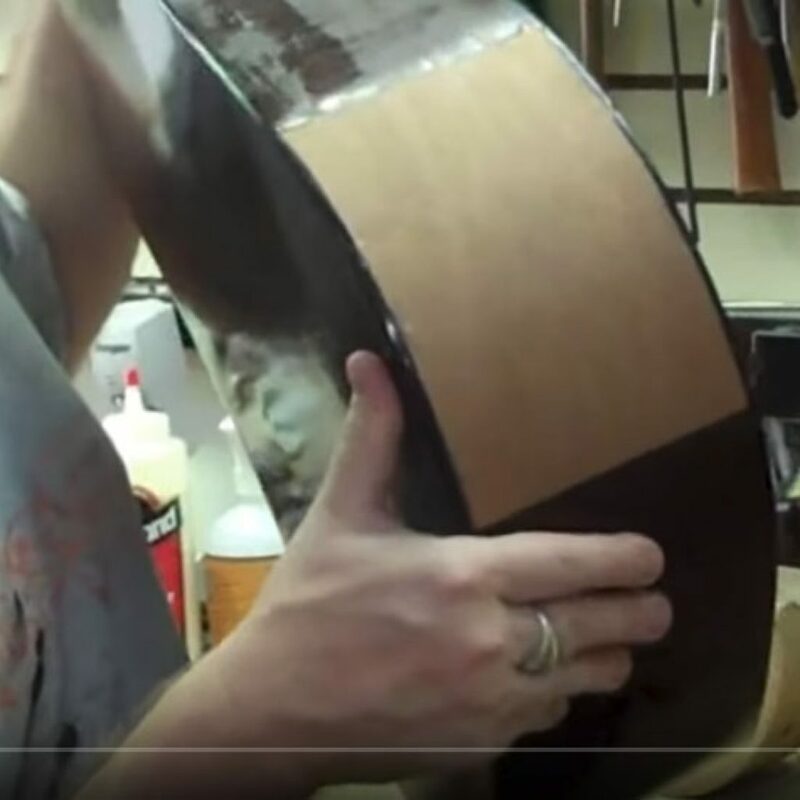 Part 2 – Perhaps Scott’s biggest repair yet… a Martin D-18 with a kicked-in side. The guitar belongs to a singer/songwriter named David who misses it dearly. 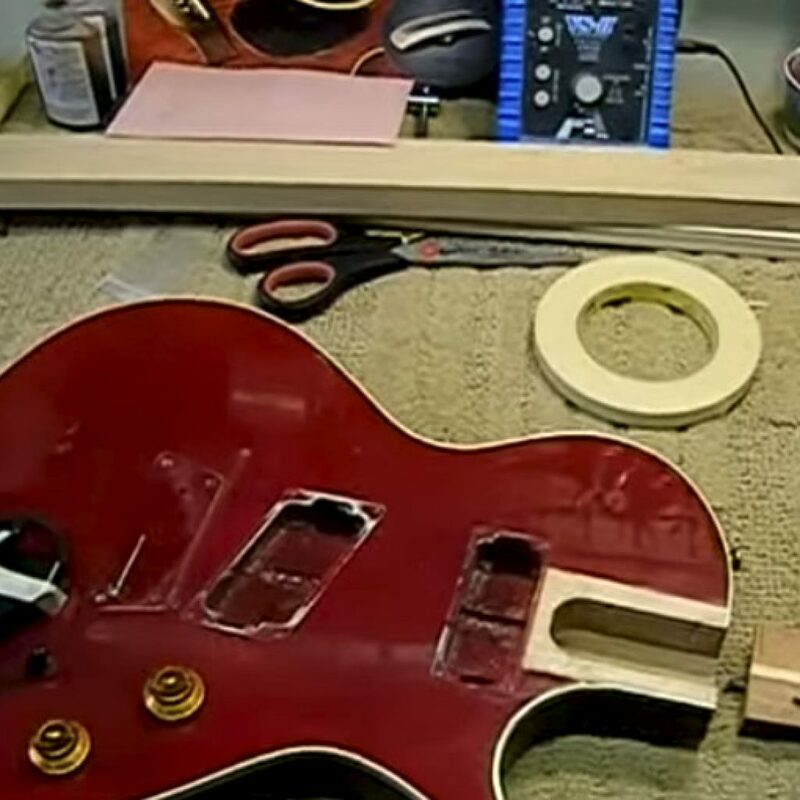 Watch as Scott puts it back together, including matching the finish color and wear. 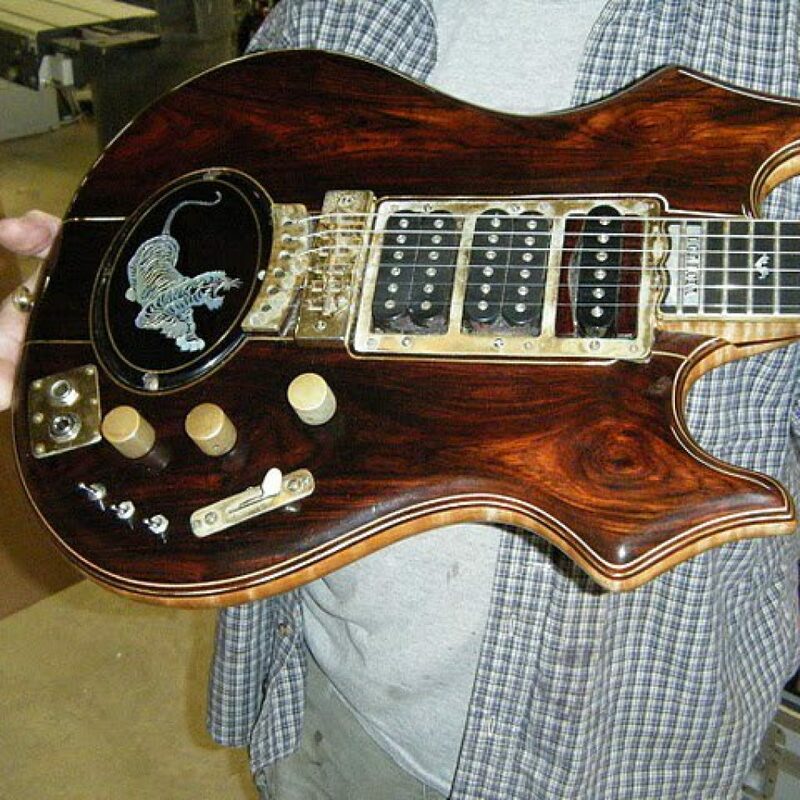 This Tele was built to the customers specifications. 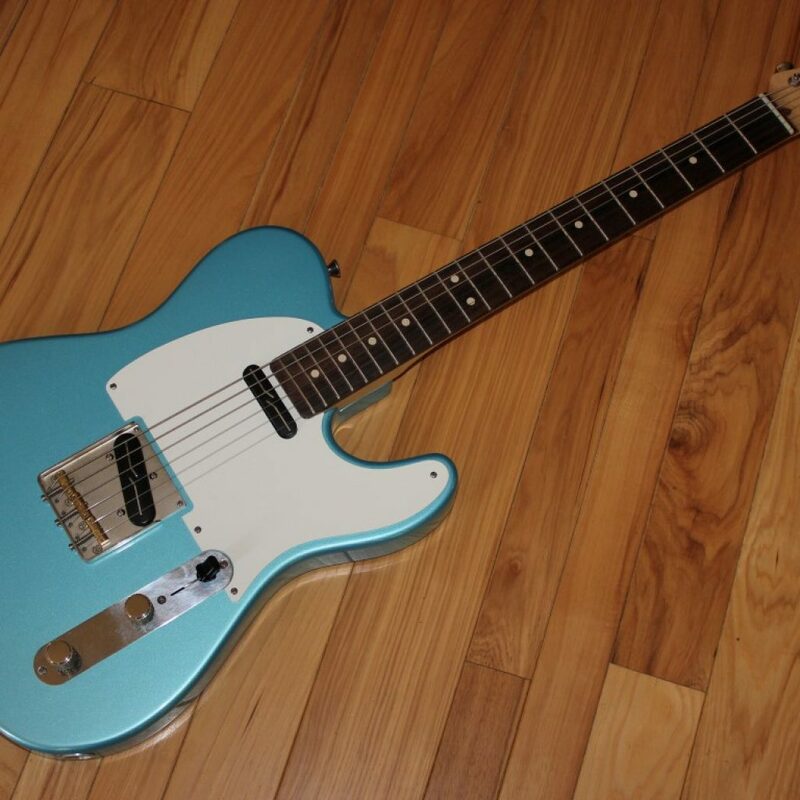 It has a light weight paulownia wood body, with a custom blue color that is somewhere between Fender’s Lake Placid Blue and Gibson’s Pelham Blue.